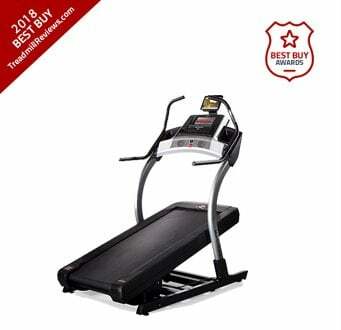 Welcome to TreadmillReviews.com, the original source of trusted treadmill reviews online. We have objective treadmill reviews of all the popular brands like Nordictrack, Proform, Sole, and more! Confidently browse the best and most complete collection of online treadmill reviews you will find anywhere. Be sure to check out our top treadmills and take advantage of our exclusive coupons! Find the Best Treadmill for your home, broken out according to your budget size. Are you a serious runner? Find the best treadmill for serious running workouts. Limited Space? 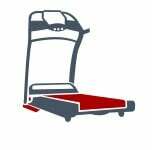 Find the best folding treadmill for those compact spaces in your home. 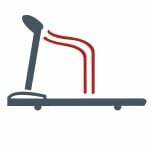 See our top rated treadmills from brands such as NordicTrack, ProForm, Sole, and Horizon. Many excellent treadmill innovations have come out of 2019, creating stiff competition among treadmill manufacturers. 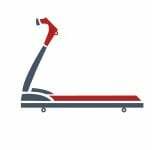 We have reviewed countless treadmills this year from treadmill brands such as NordicTrack, ProForm, SOLE, and more, looking for the best treadmills. After many hours of researching, testing, and comparing, we have compiled reviews of the best treadmills of 2019. Below are our picks for the top four treadmills. From their console designs to their powerful motors, these treadmills stood clearly above the rest. 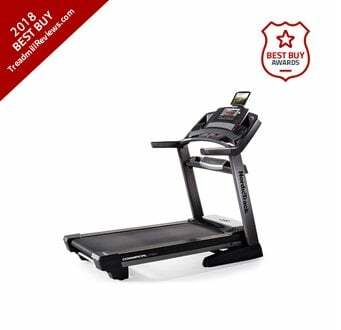 One of the best treadmills for the value, and our top overall treadmill for 2019. Read our full review to see why! Great quality at a fantastic price from a trusted brand. Read our review to learn more why we love the ProForm 2000! Sturdy machine, great for runners wanting a simple, durable treadmill with high weight capacity. Read our full review! Take your workout to the next level with this amazing incline trainer from NordicTrack. Read our full review here! Determining the best treadmill within a certain price range can be dependent on your needs. Some people want a high-tech treadmill packed with features. Others want a simple treadmill with an emphasis on durability. With this in mind, we have broken down the best treadmills into price categories and have chosen the 3 best treadmills from each category so you can easily compare them to see which treadmill is the right one for your home. The Sole F80 is a great treadmill for the price. You won’t find more solid treadmills in this price range. Sole is standing out above the others with their quality machines, and also their excellent warranties. The Horizon Elite T9 is the most expensive treadmill in the Horizon line up, meaning it is also the most high quality and feature packed treadmill of the bunch. The NordicTrack Commercial 1750 has been updated for 2016, making it a more powerful fitness tool than ever. Any treadmill represents a significant investment in your health, and at $1499 the 1750 is no exception. The ProForm Pro 2000 is the cheapest model from the Pro series. The motor used in the Pro 2000 is a 3.25 CHP Mach Z™ Commercial Pro Motor and the deck is 20" x 60". The Horizon Elite T7 is one of the higher end treadmills in the Horizon line up. It is very elegant looking and you can clearly see it was built with high quality components. The NordicTrack C990 has it all and will really give you the workout you are wanting. The C Series treadmills that NordicTrack offer are some of the best on the market. The TR1200i is an impressive treadmill in the Lifespan lineup, and a great machine in the under $1,000 range. Lifespan has done a good job in adding innovative features. The Horizon T101 is an entry machine. It's made for budget families that want a treadmill for light jogging and gentle walking. 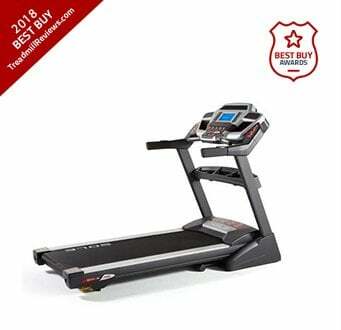 Our treadmill reviews feature the most current and applicable ratings, pricing, features and specific product information so that you can find the right treadmill. Some of our treadmill reviews even feature exclusive coupons to help you save! You’ll see these coupons on our Nordictrack, Proform, Sole, Horizon, and more treadmill reviews. We hope you will gain the valuable knowledge you are looking for in evaluating all of your treadmill options. There are several treadmill brands and models to choose from so use our reviews to find and compare the top treadmills for home use. Start by checking out our top best buy treadmills! Buying a treadmill is a big decision. You have a lot of options to consider, so we hope our treadmill reviews make it a little easier on you. To help you out we have grouped our reviews and ratings by brand to help you find what you are looking for. Below are some things regarding treadmills you want to be sure to consider. Shop online to avoid pushy salespeople. You can almost always find free shipping, more options to choose from, and expert help. We recommend skipping the retailer and purchase directly from the manufacturer. They tend to offer the best deals out there, with regular sales, better customer service, and zero middlemen. Research the all the various treadmill brands and models for a better understanding of your price point and options. You can start with our treadmill reviews and ratings.